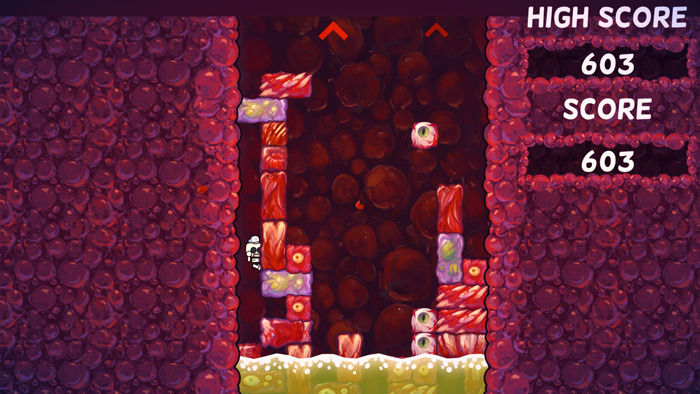 "An addictive and fun game where you must escape the Serpents stomach!" 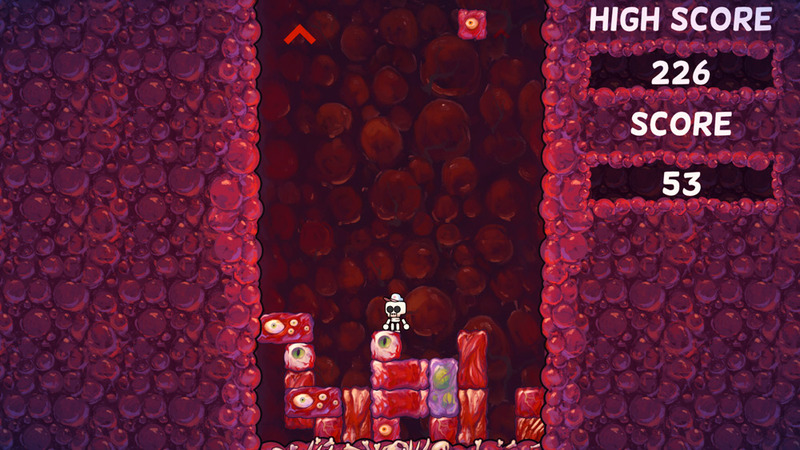 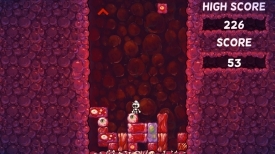 Super Skelly Belly is a highly addictive and fun game where you play as a skeleton who has got himself caught inside the intestines of some kind of gigantic beast (the world serpent apparently) and must make his way out by jumping on top of the falling debris of stomach meat, and try to avoid the rising stomach acid which will kill you if you fall in to it. 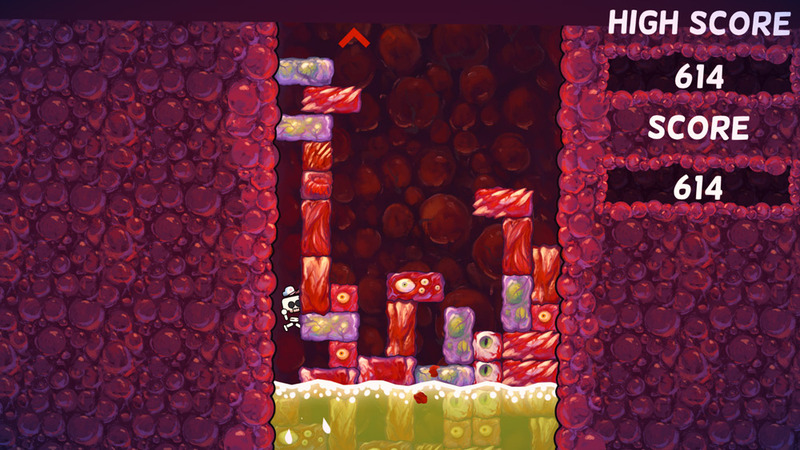 We believe that there is only one level to Super Skelly Belly although it was so challenging that may not be the case but this is the kind of game you will continue playing over and over to just try to keep beating your high score, at times you can feel like it’s a platform game that was influenced by Tetris but that is by no means a bad thing although when you do find yourself trapped in by the slabs of meat it can be a little frustrating if you can’t find your way out and have to just wait there for your inevitable death but on the flip side of that when you narrowly avoid the falling blocks and jump out of the way just in time to keep your skeleton alive it’s very rewarding. 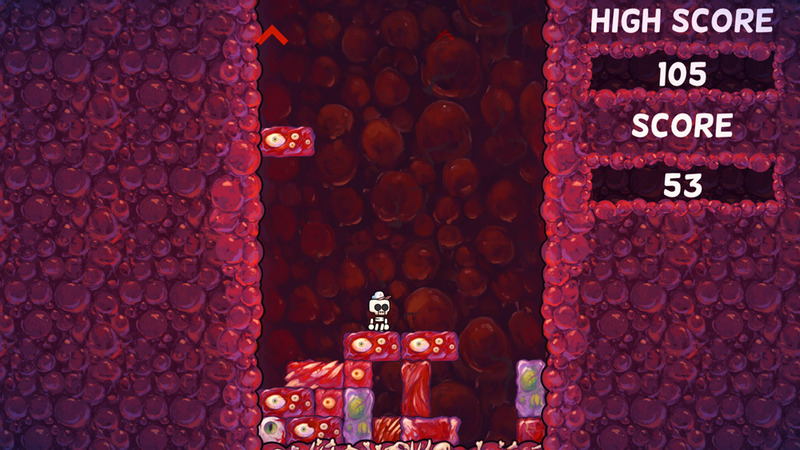 You can download Super Skelly Belly here for free.